I know something about U.S. secretaries of state lying to the American people and the international community. I assisted one of them to do so on February 5, 2003 before the United Nations Security Council. Yes, Colin Powell and I had been spoon-fed the lies by a too-compliant intelligence community leadership and a Machiavellian vice president, but we delivered those lies with vigor. For that, I at least am ashamed. I will let the former secretary of state speak for himself. If you want to know who’s caused the humanitarian crisis in Yemen, you need look no further than the Islamic Republic of Iran. Judy, for example, how many dollars has Iran provided for humanitarian assistance in Yemen? I can tell you. Do you know? Anyone even cursorily keeping up with the most brutal war in the Middle East knows without any doubt who caused and continues to cause the overwhelming majority of the suffering, the starvation, the unprecedented exposure to cholera, and the utter brutality of what’s going on in Yemen. The states that started and have been waging this war since 2015, horribly and brutally, are Saudi Arabia and the UAE. In the last year, both kingdoms have spent billions to change that stark reality, but they have failed. Emaciated babies, intentionally destroyed foodstocks, just-as-intentionally contaminated water sources, dead children in school buses, food assistance halted at the sea line while people starve, it all cannot be hidden by even the very best Saudi-hired U.S. propaganda firms. The truth is so enormous that even their expertise, oiled by Saudi billions, cannot completely hide it. Iran, on the other hand, simply responded to a target of opportunity. When the Saudi-led war commenced, Iran saw a relatively inexpensive chance to get involved more deeply in yet another catastrophic strategic failure of its archenemy across the Persian Gulf, the Kingdom of Saudi Arabia, and its brutal ruler, Mohammad bin Salman. So, with very limited and low-cost support, Iran began backing the Houthi rebel group against whom the Saudis and the UAE were waging war—and losing, a clear fact that the Pentagon seems utterly oblivious to. Because ignominiously, the United States supports the Saudi/UAE coalition. So pernicious is that support that recent revelations have included photographs of U.S.-made weapons, furnished to the Saudis, now in the hands of al Qaeda fighters. Pompeo’s remarks were made to justify that U.S. support. Like the lies rendered on February 5, 2003 with regard to Iraq, they just might pave the path—indeed are intended to pave the path—to yet another war in that region, this one with Iran. So, Pompeo just signaled quite dramatically to the hardliners in Tehran that they need to get a nuclear weapon or two before the U.S. will treat them with some fairness and in a way that, let’s face it, any other state would want to be treated—with some respect. The Joint Comprehensive Plan of Action, the agreement Trump and Pompeo have violated, restrained Iran from developing such a nuclear weapon. Now, the Trump-Pompeo-Bolton team wants to compel Iran to develop one. 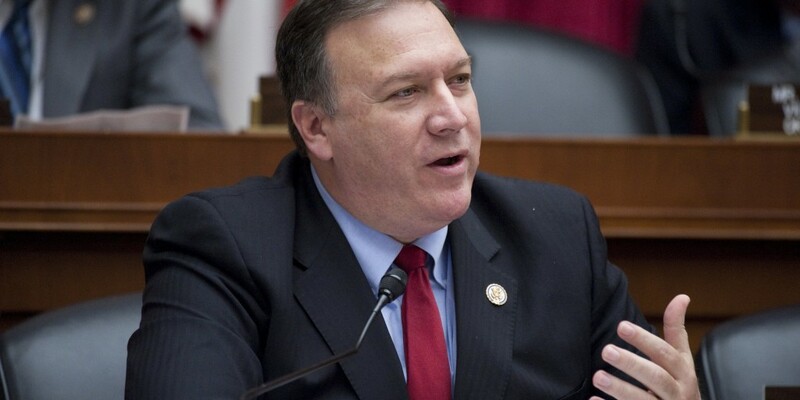 Pompeo is, to be sure, a yes-man par excellence, and much of the censure should be heaped on his boss, Donald Trump. But Pompeo’s dramatic incompetence as the number-one U.S. diplomat is killing this country, session by session, moment by moment, inept word by inept word. That abject incompetence is also murdering U.S. alliances, alienating U.S. friends, and giving aid and comfort to Vladimir Putin and Xi Jinping—so much so that Pompeo himself might just constitute the greatest threat to U.S. security. Lawrence Wilkerson is the Distinguished Visiting Professor of Government and Public Policy at the College of William and Mary. 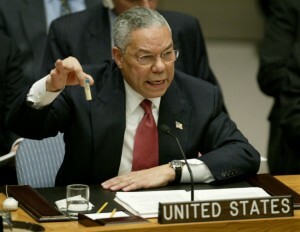 He was chief of staff to Secretary of State Colin Powell from 2002-2005. He served 31 years in the US Army.